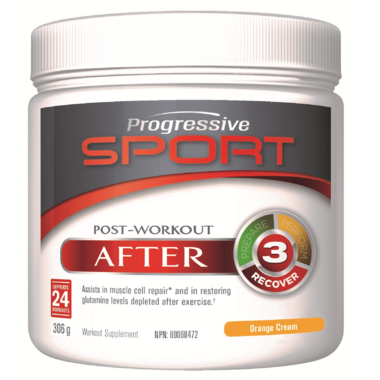 Progressive SPORT AFTER is an ULTRA CLEAN and highly efficacious post-workout supplements that helps to optimize recovery to keep all the progress you fought to earn. Give your body exactly what it needs to fight soreness and come back bigger, stronger, and better in time go again. 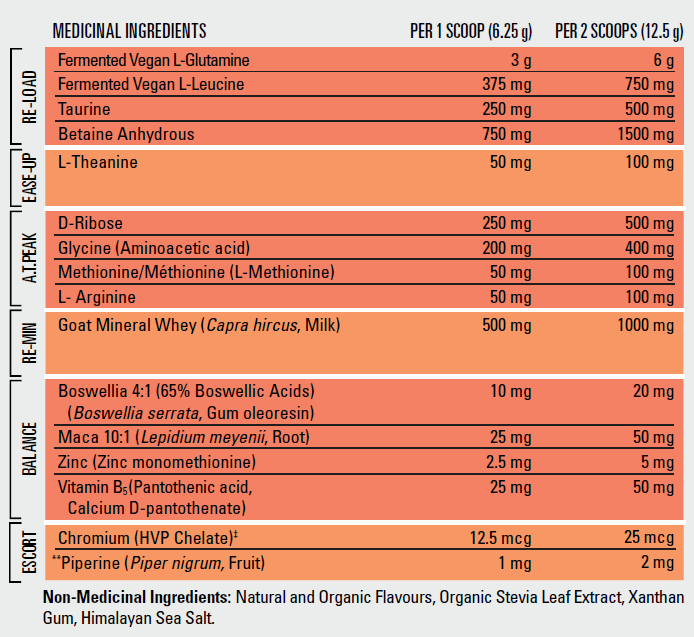 Featuring 6g of Fermented L-Glutamine and much more to help you reload, repair and cool down. ULTRA CLEAN means that these supplements are made with no artificial colours, flavours or sweeteners and as many natural, non-GMO, organic, sugar free, gluten free and kosher certified ingredients as possible. Only health-promoting ingredients that nourish a strong body and mind while fueling unbeatable performance. When to Take It: Take AFTER alone in water or added to your post-workout shake. In both cases, consume within 60 minutes of your workout, competition or game to help you can fully recover.